 If you have never been to the annual Diving Equipment and Marketing Association, DEMA, show you have little idea how daunting the information and technology overload can be. A first visit to the show leaves you feeling like a kid in a candy store. You either leave having spent way too much money on way too many things or end up having not bought anything because it is just too hard to pick just one or two things. After several visits and years your eyes and appetite become less overpowering. You eventually find that if you pay attention to what is available in the diving industry there just are not many surprises at DEMA. Well, this year caught me by surprise. I found a few gems in the rough. Through all the load of promotion, noise and hype I found a few items I had no idea were available. It had been years since I had been surprised this way. I found myself feeling a bit like a kid in a candy store all over again. That says a lot for someone as jaded as me. One of the most exciting discoveries I made was a product called the Fastfind. This is manufactured by Mcmurdo/Pains Wessex. This is what has come to be called a PLB, Personal Location Beacon. What the FCC, Federal Commerce Commission of the United States, is now calling emergency locator beacon for individuals. These were introduced originally for boats as EPIRBs, Emergency Positioning Indicator Radio Beacons. They now hold a separate designation for individuals as PLBs. 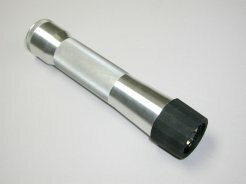 For any technical diver conducting offshore operations this item offers a piece of mind that has not been readily available in this small and complete a package. In an emergency, you can signal for help if you are separated from your support with these units. The Fastfind offers you the ability to signal for help globally via the COSPAS-SARSAT polar orbiting satellites at 406 MHz. This is the same frequency that the standard EPIRB uses. It also transmits at 121.5 MHz offering emergency homing in location and receiver reception by support or emergency personnel with the use of an emergency receiver and direction finder. 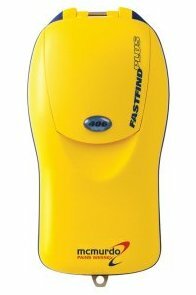 The Fastfind Plus offers the additional benefit of GPS acquisition and fix status. Upon activation, it will provide latitude and longitude coordinates to within 100 feet / 33 meters to a rescue coordination center within three minutes anywhere in the world. Both models offer five years of standby battery life with user changeable batteries and simple three stage manual activation. They float and are water resistant. The company has already planned for the needs of divers by having available a diving canister. The canister is good to well below 400 feet / 140 meters. It is constructed of anodized aluminum. 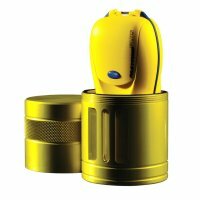 I have done research for years on how to incorporate EPIRB technology into my diving kit for offshore operations. There was never an ideal solution. This new product makes incorporating locator beacon technology very simple and easy. The Fastfind Plus retails for under $1,000.00 US and the Fast Find for under $800.00 US. For more information about this item, checkout www.reveresupply.com. During my digging, I happened upon a surprise in lighting. I have long been aware of HID, High Intensity Discharge, lights. I own several. Sartek Industries had a new item that made me double take. Carl Saieva, owner and developer of the first diving HID light, showed me a hand held 10 watt HID light that was rechargeable. While this does not sound all that remarkable, the price and size were. This light has the size of a normal three C cell backup light. Visions of not having to abort cave dives flashed through my eyes. I could carry these as backups and they would function as primaries if my actual primary failed. 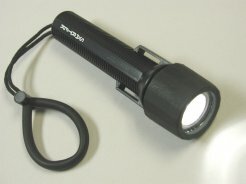 I would not have to carry multiple canister driven primary lights on expeditions. I could simply add one of these and an additional backup to my kit and rarely, if ever, have to turn a dive due to light failure of any kind. That is cool. So, I asked, “Okay, Carl, what does it cost?” Well, this took me aback. His answer, “Under $300.00 US retail.” I could not believe that I could get a rechargeable 10-watt HID handheld small light with two hours of burn time for that price. All without the usual canister or the big size for eight C cell batteries. On the final day of DEMA I happened on a company’s booth that produces waterproof cases. Ah, you say those have been on the market for years. Of course they have, but I had not seen a case specifically made for the protection of a PDA while you actually use it. This was pretty cool. My first question was does it work underwater? Unfortunately, the answer was no. Ah, of course, not yet. The pressure sensitive screen on them will make that difficult. But, this would allow the use of the PDA in just about every topside condition I could imagine ever needing to. I find myself using my PDA for more and more diving related uses. From deco software to mapping to data collection to emergency assistance plans to GPS, my trusted PDA is finding its way into the field more and more. This product is ideal for anyone that needs to have their PDA and actually use it when there is a risk of adverse conditions rendering it nothing more than a doorstop. Otter Box produces two different versions of their Armor box. The Armor 2600 is the simpler of the two. It offers hard case protection with a flexible membrane for use of the PDA. The screen protector is replaceable. It retails for $49.00 US. The Armor 3600 is the big brother of the 2600. It is much larger, but provides many more options. The real difference between the 2600 and the 3600 is that the 3600 allow for the user to accommodate many accessories for their PDA. It also has a protective cover that covers the flexible membrane over the touch screen of the PDA. The 3600 is a protective system on steroids. It retails for $99.00 US and the accessories range from $19.95 US to $49.95US. For more information on any Otter Box product, checkout www.otterbox.com. While I am not usually surprised at DEMA shows, this year was different. Amongst all the usual players, products and hype there were a few welcomed surprises. The only problem now is I have to figure out how to pay for them all.